Your cat has impeccable taste. Luckily so do our natural filets, paired purrfectly with savory broths and tempting toppers. 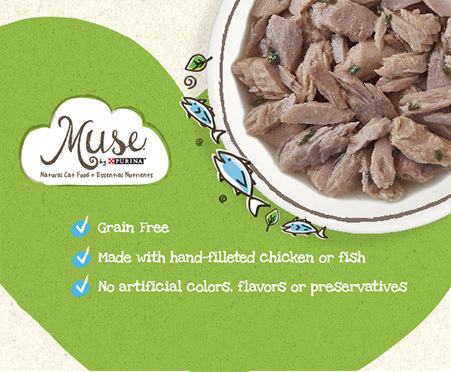 MUSE BY PURINA NATURAL FILETS IN TUBS my cat was able to sample this natural food thanks to Pinchme free samples. She enjoyed the food and she can be picky! I like the quality ingredients. 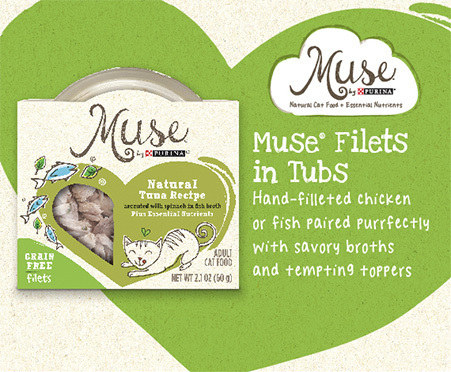 Muse Natural Filets in Tubs my cat eat it it fine. I received the sample of Muse, Natural Filets in Tubs. My two cats are older, so I wasn’t sure how they would react. I cut them up and put them in some dry food. Both cats ate them, two days later I finished the filets in their food and they seemed to like them! My way is a picky eater and very spoiled so I was surprised when he came right over to the muse food and ate it all! 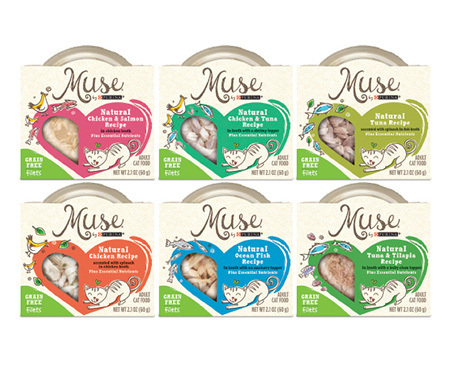 My cat loved this cat food "Muse" "Natural Filets in Tubs" she really loved this food, eat everything in that tub, licked it clean. She meowed after eating it. I took it as I really liked this. So the next time I went to the market I bought her more. My cat loved Muse Natural Filets. She is a picky eater and she lived this.